You can now enjoy And Violet in the comfort of your own home! 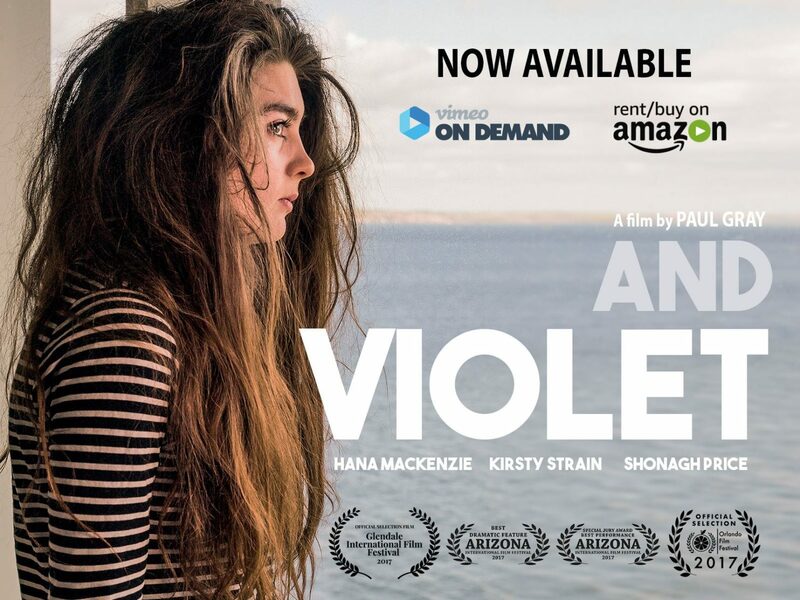 The award winning film, And Violet, is now available to download or stream online, meaning you can watch this great film over and over in the comfort of your own home! When Violet and her adoptive mum Cathy visit a small Scottish town one summer, they unexpectedly run into Violet’s estranged birth-mum Zoe. The mothers clash, and Violet struggles to navigate this complicated relationship. Cathy struggles to help her, as she becomes increasingly confused and angry. The meeting also triggers something in Zoe, and she decides to change the direction of her life, returning to Edinburgh. It’s the city where Violet lives, but it’s also a city that holds dark memories of a difficult past. Violet and Zoe connect again and begin an illicit online communication, but Cathy finds out and brings all contact to an abrupt end. Violet rebels against her and as Zoe self-destructively spirals out of control, Cathy has to urgently try to find a way back in to Violet’s life.